Image: Dave Doyle. Reports submitted by Scott Winter and Brian Reznick. 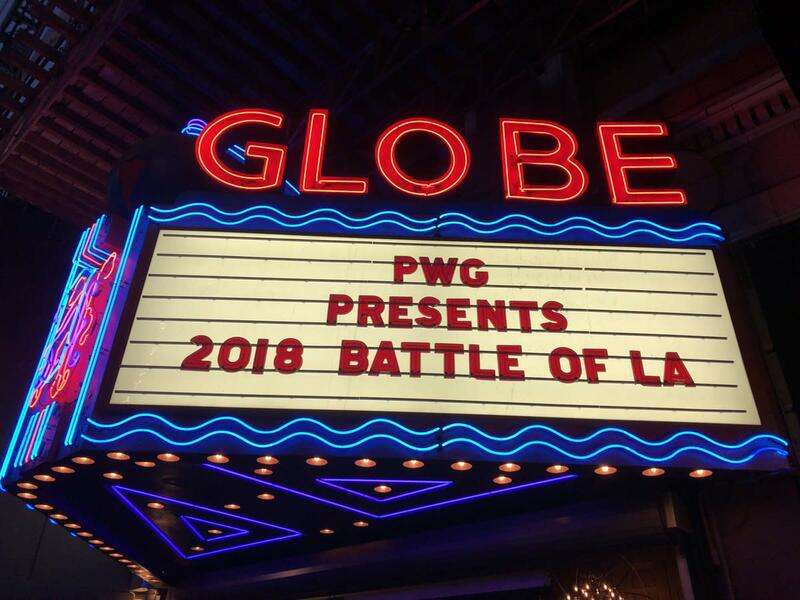 The 2018 Battle of Los Angeles concluded on Sunday as Pro Wrestling Guerrilla returned to the Globe Theatre in Los Angeles for the third straight night. This was as good as expected with these two teams. Cobb won in about 15 seconds, but it got one of the biggest pops of the night. They had a typical crazy over-the-top Janela match. As stiff as expected, and WALTER may have even broken his own scale of amplitude with the most sickening chop that literally worried the crowd that Takagi might not be able to continue. Bandido eliminated Takagi before it came down to Bandido vs. Cobb. For about five to 10 minutes there, Bandido was the most passionately loved babyface of all time. Cobb hit the Tour of the Islands off the second rope and the match was obviously over, but Cobb quickly picked Bandido up, shoved him into the ropes, and hit another Tour of the Islands in the middle of the ring for the win. As much as the crowd wanted Bandido to win, the inevitability of the finish prevented a letdown as they counted the pin. Cobb and Bandido both gave great speeches afterwards, including Bandido bringing his dad into the ring.